I did NOT have high expecations. 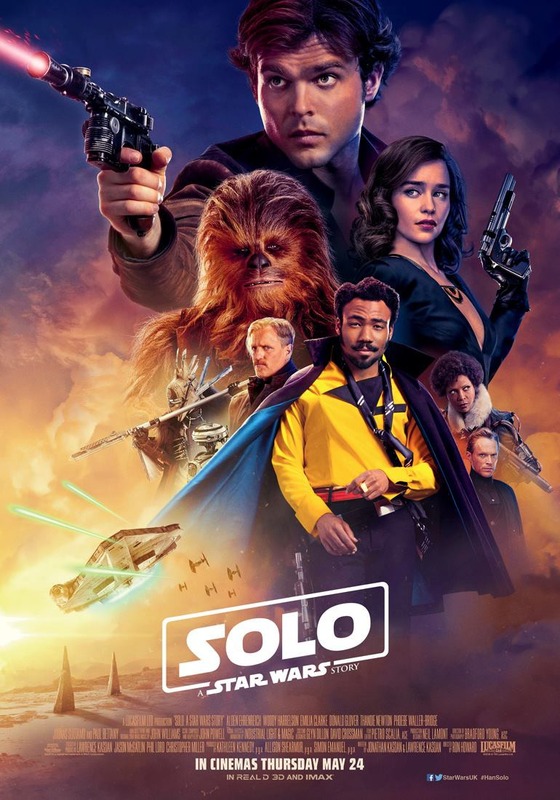 After having watched the trailer all I thought was that Lando looked awesome! But I was pleasantely surprised! Nope, Alden is NOT Han Solo. MIL was all omg he looked just like him and acted like him, ha! no he did not. 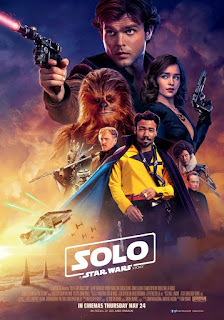 I get that they can not find another Harrison Ford, but I just did not get the feeling that this was Han Solo...at all. It was just your run of the mill smuggler and that was still cool. Q'ira...yeah, was she like only there for there to be a female? I did not care for her character and I did not sense any chemistry between them. A person that shows up that made me go all wtf?! Omg you guys, Donald GLover killed as Lando. He WAS Lando. He looked like him, he nailed it. L3 was the best character int his movie. Dang! Funny, awesome. My heroine. THis other character that shows up totally needs a movie, just saying. Was not around a lot but stole the screen. I ended up enjoying the story, and I would say it was better than the new ones. Except Rogue one which is the best Star Wars movie of the new ones. But yes I did like Solo better than the trilogy cos I am so not a Rey fan. And the movies are so Disney. While this one managed to be funny and dark. A win win. SO yes, go see it. I forgot to sent a trailer! Ugh, sorry.